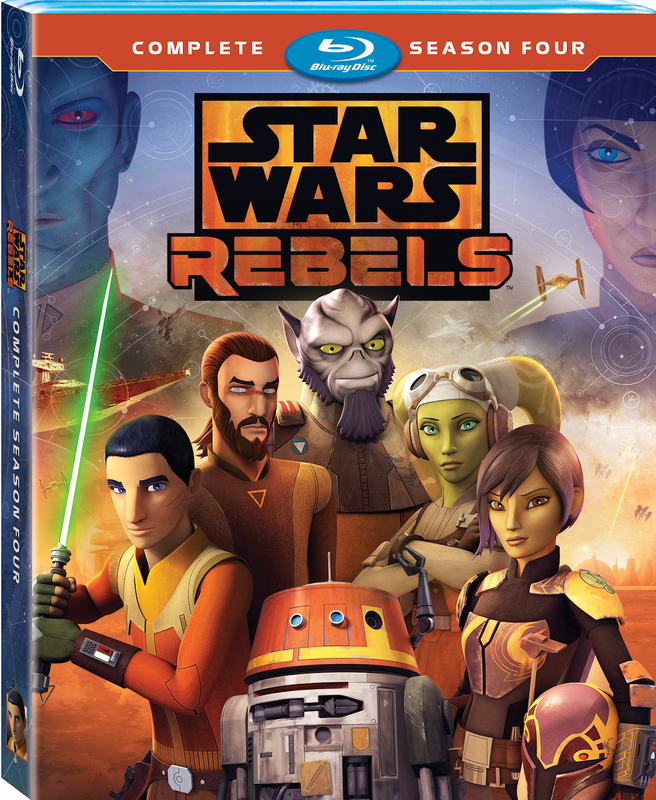 July 31, 2018 marks the release of Star Wars Rebels: The Complete Fourth Season on DVD and Blu-Ray which was created by Dave Filoni (Star Wars:The Clone Wars), Simon Kinberg (“X-Men: Days of Future Past”), and Carrie Beck (“LEGO Star Wars: The Freemaker Adventures”). The Lucasfilm Animation production is also executive-produced by Filoni and Kinberg. The season four voice cast includes Taylor Gray as Ezra, Vanessa Marshall as Hera, Freddie Prinze, Jr. as Kanan, Tiya Sircar as Sabine, Steve Blum as Zeb, Dee Bradley Baker as Rex, Mary Elizabeth McGlynn as Pryce, David Oyelowo as Kallus and Lars Mikkelsen as Thrawn. Join the Ghost crew as they embark on their most important mission the four and final season! As the Rebellion struggles against the might of the Empire, Ezra leads the Ghost crew back to his home world to defeat the oppressive forces under the command of cunning Grand Admiral Thrawn. Old friends are reunited and new alliances are forged as the critically acclaimed series builds to a transformative conclusion that reveals our heroes' destinies. Ghosts of Legend As paths come together; we explore the journey of the Ghost crew with some of the talented people who brought them to life. Force of Rebellion Executive Producer Dave Filoni shares insights into the Force and its importance across the Star Wars saga. Kevin Kiner: The Rebel Symphony go behind the scenes with composer Kevin Kiner to discover what inspired some of the most iconic music in the series. Rebels Recon go behind the scenes with the cast and crew in 8 entertaining and information-packed episode recaps! DVD: Rebels Recon go behind the scenes with the cast and crew in 8 entertaining and information-packed episode recaps! This is a great animated series for anyone who loves Star Wars and has a great storyline to keep you interested.